The Volkswagen Tiguan is unique among midsize SUVs, thanks to its sporty styling and spacious interior. Unlike others of its kind, it seats five to seven people, giving your family plenty of room to stretch out and store their belongings. Whether you’re running errands around Oakville or catching a spring event in St. Louis, the new VW Tiguan is as flexible as you need it to be. Does the Tiguan sound like the right pick for you? 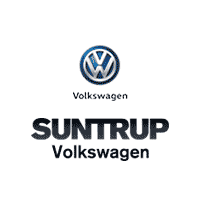 Explore our selection of 38 new Tiguan SUVs for sale at Suntrup Volkswagen! $4,500 off MSRP! 2019 Volkswagen Tiguan FWD 2.0T SE Pure White 8-Speed Automatic with Tiptronic 2.0L TSI DOHC WE MAKE IT EASY! Transparency = Hassle-free buying. "Everyone's Discount" Price includes destination. Our one & only fee is our $199 Admin fee that every local dealer has. Price may be in lieu of special APR, or require financing through VW Credit. Price excludes tax, title & licensing. Don't be fouled by our competitors old car sales tactic with bogus "trade-in incentives". Conditional Incentives:College Grad, VW Business Partner & Military & First Responders. 22/29 City/Highway MPG No Charge: Lifetime Power-train loyalty program with $0 Deductible good at all ASE certified shop, 3 year Interior/Exterior warranty, Free Service loaners and shuttles for life. Call now or print this page and come in see any one of our VW Master Certified sales associates. All new vehicles come with our Lifetime Power Train Loyalty Program excluding Nissan GT-R and Nissan Leaf. Picture may not represent actual vehicle. Price varies based on in stock availability, trim levels, dealer installed options and accessories. All prices include all available Nissan incentives and rebates and may require Nissan Financing. Excludes tax, doc fees, license, title and destination charges. Occasionally pricing errors may occur and upon notification we will correct such errors. $4,300 off MSRP! 2019 Volkswagen Tiguan AWD S Deep Black 4Motion 8-Speed Automatic with Tiptronic 2.0L TSI DOHC WE MAKE IT EASY! Transparency = Hassle-free buying. "Everyone's Discount" Price includes destination. Our one & only fee is our $199 Admin fee that every local dealer has. Price may be in lieu of special APR, or require financing through VW Credit. Price excludes tax, title & licensing. Don't be fouled by our competitors old car sales tactic with bogus "trade-in incentives". Conditional Incentives:College Grad, VW Business Partner & Military & First Responders. 21/29 City/Highway MPG No Charge: Lifetime Power-train loyalty program with $0 Deductible good at all ASE certified shop, 3 year Interior/Exterior warranty, Free Service loaners and shuttles for life. Call now or print this page and come in see any one of our VW Master Certified sales associates. All new vehicles come with our Lifetime Power Train Loyalty Program excluding Nissan GT-R and Nissan Leaf. Picture may not represent actual vehicle. Price varies based on in stock availability, trim levels, dealer installed options and accessories. All prices include all available Nissan incentives and rebates and may require Nissan Financing. Excludes tax, doc fees, license, title and destination charges. Occasionally pricing errors may occur and upon notification we will correct such errors. $4,500 off MSRP! 2019 Volkswagen Tiguan FWD 2.0T SE Platinum Gray 8-Speed Automatic with Tiptronic 2.0L TSI DOHC WE MAKE IT EASY! Transparency = Hassle-free buying. "Everyone's Discount" Price includes destination. Our one & only fee is our $199 Admin fee that every local dealer has. Price may be in lieu of special APR, or require financing through VW Credit. Price excludes tax, title & licensing. Don't be fouled by our competitors old car sales tactic with bogus "trade-in incentives". Conditional Incentives:College Grad, VW Business Partner & Military & First Responders. 22/29 City/Highway MPG No Charge: Lifetime Power-train loyalty program with $0 Deductible good at all ASE certified shop, 3 year Interior/Exterior warranty, Free Service loaners and shuttles for life. Call now or print this page and come in see any one of our VW Master Certified sales associates. All new vehicles come with our Lifetime Power Train Loyalty Program excluding Nissan GT-R and Nissan Leaf. Picture may not represent actual vehicle. Price varies based on in stock availability, trim levels, dealer installed options and accessories. All prices include all available Nissan incentives and rebates and may require Nissan Financing. Excludes tax, doc fees, license, title and destination charges. Occasionally pricing errors may occur and upon notification we will correct such errors. $4,300 off MSRP! 2019 Volkswagen Tiguan AWD 2.0T SE Pure White 4Motion 8-Speed Automatic with Tiptronic 2.0L TSI DOHC WE MAKE IT EASY! Transparency = Hassle-free buying. "Everyone's Discount" Price includes destination. Our one & only fee is our $199 Admin fee that every local dealer has. Price may be in lieu of special APR, or require financing through VW Credit. Price excludes tax, title & licensing. Don't be fouled by our competitors old car sales tactic with bogus "trade-in incentives". Conditional Incentives:College Grad, VW Business Partner & Military & First Responders. 21/29 City/Highway MPG No Charge: Lifetime Power-train loyalty program with $0 Deductible good at all ASE certified shop, 3 year Interior/Exterior warranty, Free Service loaners and shuttles for life. Call now or print this page and come in see any one of our VW Master Certified sales associates. All new vehicles come with our Lifetime Power Train Loyalty Program excluding Nissan GT-R and Nissan Leaf. Picture may not represent actual vehicle. Price varies based on in stock availability, trim levels, dealer installed options and accessories. All prices include all available Nissan incentives and rebates and may require Nissan Financing. Excludes tax, doc fees, license, title and destination charges. Occasionally pricing errors may occur and upon notification we will correct such errors. $4,500 off MSRP! 2019 Volkswagen Tiguan AWD 2.0T SE Deep Black 4Motion 8-Speed Automatic with Tiptronic 2.0L TSI DOHC WE MAKE IT EASY! Transparency = Hassle-free buying. "Everyone's Discount" Price includes destination. Our one & only fee is our $199 Admin fee that every local dealer has. Price may be in lieu of special APR, or require financing through VW Credit. Price excludes tax, title & licensing. Don't be fouled by our competitors old car sales tactic with bogus "trade-in incentives". Conditional Incentives:College Grad, VW Business Partner & Military & First Responders. 21/29 City/Highway MPG No Charge: Lifetime Power-train loyalty program with $0 Deductible good at all ASE certified shop, 3 year Interior/Exterior warranty, Free Service loaners and shuttles for life. Call now or print this page and come in see any one of our VW Master Certified sales associates. All new vehicles come with our Lifetime Power Train Loyalty Program excluding Nissan GT-R and Nissan Leaf. Picture may not represent actual vehicle. Price varies based on in stock availability, trim levels, dealer installed options and accessories. All prices include all available Nissan incentives and rebates and may require Nissan Financing. Excludes tax, doc fees, license, title and destination charges. Occasionally pricing errors may occur and upon notification we will correct such errors. $4,300 off MSRP! 2019 Volkswagen Tiguan AWD 2.0T SE Deep Black 4Motion 8-Speed Automatic with Tiptronic 2.0L TSI DOHC WE MAKE IT EASY! Transparency = Hassle-free buying. "Everyone's Discount" Price includes destination. Our one & only fee is our $199 Admin fee that every local dealer has. Price may be in lieu of special APR, or require financing through VW Credit. Price excludes tax, title & licensing. Don't be fouled by our competitors old car sales tactic with bogus "trade-in incentives". Conditional Incentives:College Grad, VW Business Partner & Military & First Responders. 21/29 City/Highway MPG No Charge: Lifetime Power-train loyalty program with $0 Deductible good at all ASE certified shop, 3 year Interior/Exterior warranty, Free Service loaners and shuttles for life. Call now or print this page and come in see any one of our VW Master Certified sales associates. All new vehicles come with our Lifetime Power Train Loyalty Program excluding Nissan GT-R and Nissan Leaf. Picture may not represent actual vehicle. Price varies based on in stock availability, trim levels, dealer installed options and accessories. All prices include all available Nissan incentives and rebates and may require Nissan Financing. Excludes tax, doc fees, license, title and destination charges. Occasionally pricing errors may occur and upon notification we will correct such errors. $4,300 off MSRP! 2019 Volkswagen Tiguan AWD 2.0T SE White Silver 4Motion 8-Speed Automatic with Tiptronic 2.0L TSI DOHC WE MAKE IT EASY! Transparency = Hassle-free buying. "Everyone's Discount" Price includes destination. Our one & only fee is our $199 Admin fee that every local dealer has. Price may be in lieu of special APR, or require financing through VW Credit. Price excludes tax, title & licensing. Don't be fouled by our competitors old car sales tactic with bogus "trade-in incentives". Conditional Incentives:College Grad, VW Business Partner & Military & First Responders. 21/29 City/Highway MPG No Charge: Lifetime Power-train loyalty program with $0 Deductible good at all ASE certified shop, 3 year Interior/Exterior warranty, Free Service loaners and shuttles for life. Call now or print this page and come in see any one of our VW Master Certified sales associates. All new vehicles come with our Lifetime Power Train Loyalty Program excluding Nissan GT-R and Nissan Leaf. Picture may not represent actual vehicle. Price varies based on in stock availability, trim levels, dealer installed options and accessories. All prices include all available Nissan incentives and rebates and may require Nissan Financing. Excludes tax, doc fees, license, title and destination charges. Occasionally pricing errors may occur and upon notification we will correct such errors. $4,300 off MSRP! 2019 Volkswagen Tiguan AWD 2.0T SE Platinum Gray Metallic Remote Start, 3rd Row Seat Package. 4Motion 8-Speed Automatic with Tiptronic 2.0L TSI DOHC WE MAKE IT EASY! Transparency = Hassle-free buying. "Everyone's Discount" Price includes destination. Our one & only fee is our $199 Admin fee that every local dealer has. Price may be in lieu of special APR, or require financing through VW Credit. Price excludes tax, title & licensing. Don't be fouled by our competitors old car sales tactic with bogus "trade-in incentives". Conditional Incentives:College Grad, VW Business Partner & Military & First Responders. 21/29 City/Highway MPG No Charge: Lifetime Power-train loyalty program with $0 Deductible good at all ASE certified shop, 3 year Interior/Exterior warranty, Free Service loaners and shuttles for life. Call now or print this page and come in see any one of our VW Master Certified sales associates. All new vehicles come with our Lifetime Power Train Loyalty Program excluding Nissan GT-R and Nissan Leaf. Picture may not represent actual vehicle. Price varies based on in stock availability, trim levels, dealer installed options and accessories. All prices include all available Nissan incentives and rebates and may require Nissan Financing. Excludes tax, doc fees, license, title and destination charges. Occasionally pricing errors may occur and upon notification we will correct such errors. $4,300 off MSRP! 2019 Volkswagen Tiguan AWD 2.0T SE Platinum Gray Metallic 4Motion 8-Speed Automatic with Tiptronic 2.0L TSI DOHC WE MAKE IT EASY! Transparency = Hassle-free buying. "Everyone's Discount" Price includes destination. Our one & only fee is our $199 Admin fee that every local dealer has. Price may be in lieu of special APR, or require financing through VW Credit. Price excludes tax, title & licensing. Don't be fouled by our competitors old car sales tactic with bogus "trade-in incentives". Conditional Incentives:College Grad, VW Business Partner & Military & First Responders. 21/29 City/Highway MPG No Charge: Lifetime Power-train loyalty program with $0 Deductible good at all ASE certified shop, 3 year Interior/Exterior warranty, Free Service loaners and shuttles for life. Call now or print this page and come in see any one of our VW Master Certified sales associates. All new vehicles come with our Lifetime Power Train Loyalty Program excluding Nissan GT-R and Nissan Leaf. Picture may not represent actual vehicle. Price varies based on in stock availability, trim levels, dealer installed options and accessories. All prices include all available Nissan incentives and rebates and may require Nissan Financing. Excludes tax, doc fees, license, title and destination charges. Occasionally pricing errors may occur and upon notification we will correct such errors. $5,250 off MSRP! 2019 Volkswagen Tiguan FWD SEL Deep Black 8-Speed Automatic with Tiptronic 2.0L TSI DOHC WE MAKE IT EASY! Transparency = Hassle-free buying. "Everyone's Discount" Price includes destination. Our one & only fee is our $199 Admin fee that every local dealer has. Price may be in lieu of special APR, or require financing through VW Credit. Price excludes tax, title & licensing. Don't be fouled by our competitors old car sales tactic with bogus "trade-in incentives". Conditional Incentives:College Grad, VW Business Partner & Military & First Responders. 22/29 City/Highway MPG No Charge: Lifetime Power-train loyalty program with $0 Deductible good at all ASE certified shop, 3 year Interior/Exterior warranty, Free Service loaners and shuttles for life. Call now or print this page and come in see any one of our VW Master Certified sales associates. All new vehicles come with our Lifetime Power Train Loyalty Program excluding Nissan GT-R and Nissan Leaf. Picture may not represent actual vehicle. Price varies based on in stock availability, trim levels, dealer installed options and accessories. All prices include all available Nissan incentives and rebates and may require Nissan Financing. Excludes tax, doc fees, license, title and destination charges. Occasionally pricing errors may occur and upon notification we will correct such errors. We appreciate your interest in our inventory, and apologize we do not have model details displaying on the website at this time. Please fill the form out below and our team will quickly respond, or, please call us at 314-272-3077 for more information. Do you have more questions about VW SUVs, or are you interested in our used VW Tiguan SUVs for sale? Contact us to schedule a test drive near Fenton, and we’ll put you behind the wheel of the right family car for you!